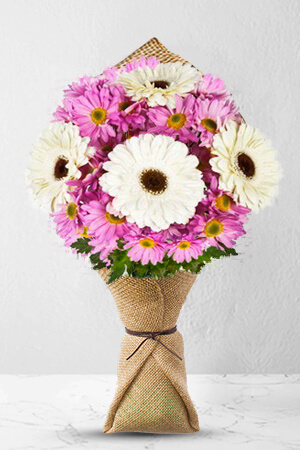 This incredible bouquet of pink Chrysanthemums brings the surprising arrival of Spring and Summer all rolled into one and a feeling of joy and wellbeing. Send Pink Surprise and let all those feelings move a loved one.The vase pictured is not included, however to upgrade your gift, you can choose between 3 vases; standard, premium and superior. We recommend a Standard Vase for this Pink Surprise. So easy.. It was the 2nd time I have ordered them on line,... and my friend got them both times on the day and loved them.....Thanks so much. Fantastic and everything I would want. I appreciate the reminder emails. I live in Northern Ireland and I wanted flowers delivered Te Awamutu NZ. Apart from a slight hiccup with the address. I found the service very good. Jennifer.